A slightly unusual one for a review, but these seem to be too good to not talk about. I’ve adapted the questions below to suit supplements rather than skincare but if you think of any others, please let me know in the comments and I will add. Everyone except those medically contraindicated. Very specifically. Neck it like a shot. Minimal fluids, one gulp. Well you won’t ‘see’ results, but it hits your bloodstream immediately, so you may ‘feel’ them. I’ve taken them multiple times daily since Tuesday – only a week, but I’m convinced they’ve helped kick my nearly three-week-long tracheitis to the kerb and my skin is definitely looking firmer. I’m still dehydrated from antibiotics, but they’re not affecting my skin as much as they have done in the past. A box of 30 sachets is around £35.00 depending where you purchase. To help protect cells from the damage caused by free radicals – same as your anti-ageing serums, except these work internally. To support a healthy immune system – especially coming into winter! To support collagen production for healthier skin, muscles and joints – all of us, every day all day. Vitamin C is vital for your collagen, if yours is slacking, step it up. To promote muscle repair – great for those of you that are particularly active, workout a lot/run/have busy lifestyles, kids, everything.. Traditionally vitamin C is hard to digest and ingest. These are encapsulated and protected by microscopic bubbles called Liposomes. Liposomes are made of phospholipids, the same material that makes up cells. 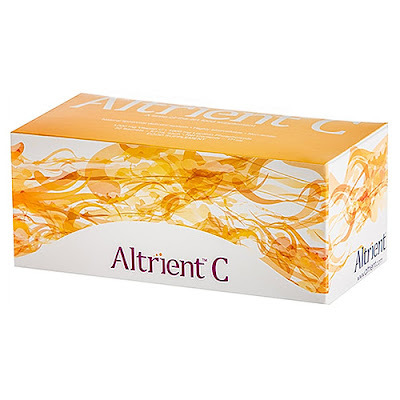 This allows the nutrient to pass through your cell membranes, unlike other vitamin c products which frequently linger in the system before they are excreted in your urine. A lot of vitamin C products on the market can be flushed from your system, Lypo-Spheric passes through your digestive system unharmed. There is no bowel intolerance and no vitamin flush meaning more of the nutrient reaches your cells. The extremely popular vitamin C powders/tablets such as EmergenC and Berocca are marketed well and cute to take, but they are full, full of sugar. In the original Orange flavoured 9g EmergenC sachet, there are 6g of sugar. Same for the kid’s version. They’re expensive, but you get what you pay for. I already have. These will be a solid addition to my tight supplement routine.